Please welcome my newest sponsor... Bellasymphony. Bellasymphony creates the most ethereal and dreamy tutus. Seeing pictures of Bellasymphony tutus always make me want to take the girls out to a grassy field, while wearing their tutus, and let them run wild as I snap away taking pictures. Not only does Bellasymphony have tutus, but a shop full of tutorials on how to make other dreamy stuff, including tutus! You can purchase an e-book on how make rolled fabric rosettes, sassy bloomers, funky leggies, baby blankets and the list can go on! You will never run out of projects from the choices e-books that you will find in the Bellasymphony shop! 1. Leave a comment telling me your favorite item from Bellasymphony's website or etsy shop. The giveaway will end at 8am PST on Thursday, April 15th and don't forget to come back Thursday to this post as this is where the winner will be announced. Good luck! Thank you so much Bellasymphony!!! p.s. The anticipated wedding for my best friend is today, so if I have been MIA for a little while, it is because I have been busy preparing and will be busy resting for a couple days after, but I will be back soon. Though, tomorrow I will have another lovely sponsor to share! The random generator chose... K. Davis!!! Congratulations K. Davis!!! Please email me to claim your prize. Thank you everyone for your lovely support! My favorite is the classic and sweet tutu. We are expecting our first baby - a girl - this May and I love picturing her wearing this tutu. my absolute favorite is definitely the classic sweet tutu! i love it and wish i was a baby so i could wear it! ha ha but i want it for my little niece! I like the twill tape labels ebook. But everything was sweet! I'd love to get my hands on some of those ebooks. My favourite thing in the shop was I LOVE MOM Valentines Sassy Pants Onesie, so cute! i love bellasymphony and have purchased many of her fun tutorials!! they are amazingly put together and SO worth the money! The little mod dresses are so cute!! I really like the flowers - both the rolled roses and the Amelie flower. I hope that the wedding was just amazing! I like the I LOVE MOM Valentines Sassy Pants Onesie. I love the classic and sweet tutu. So darling on little girls! I have a 3 little girls and have been dying to buy them a fluffy tutu and snap adorable photos! What a great give-a-way! I love the Jane Dress PDF Ebook. How adorable... I'd love to make a bunch of them! i also favourited her etsy shop. its so wonderful!! i used to wear tutus to school, so these are just beautiful. cuteness overload!!! I love the Jane dress PDF, I would love to make it for my daughter! Definately the Mary Jane Shoes pdf. I want to make these!! I love all the ebooks, I want to learn to make everything! I love the pink poise hair clip. Reminds me of summer! love the little miss sassy pants bloomers! i really like the reversible little miniskirt...hope to win! The tutus are just cute, by as a shoeholic, my favorite is Bebe Mary Janes (as though Little Sweet Heart Mary Janes are wonderful as well). My fav are the Little Miss Sassy Pants Bloomers, soo sweet! Eeep! I am loving so many of the patterns! I love the reversible mini skirt - so cute. i love the knotty tutu! the classic and sweet tutu with the knots is my favorite. SOOO adorable! I like the Poise Hair Clip. But there was a ton of things that I really loved! So cute! bebe mary janes, too cute !!! I love the princess tutu! My favorite item is the pattern for the Mary Janes. They are too cute! Oh my goodness. Those Little Miss Sassy Pants bloomers are adorable!!! 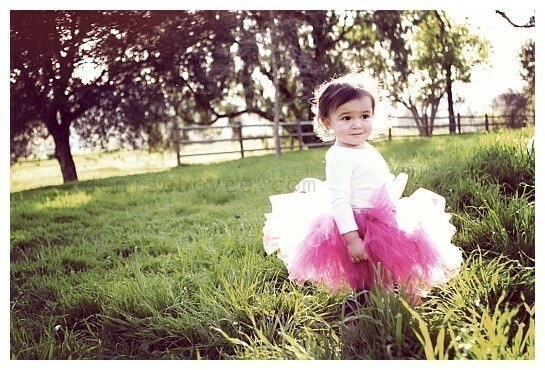 one of the Tutu's would be great for my baby sis! !